This NEW Tactical Force TF4 OPS features a quad rail system and a top optics rail, allowing players to fully customize this rifle with any standard Picatinny rail mounted accessories. 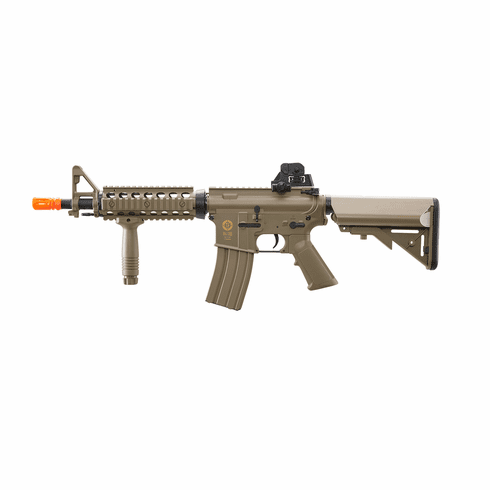 This airsoft AEG comes out of the box with everything that is needed to get out onto the field and play, including a battery, charger, 300-round hi-cap magazine, and a vertical grip. Copyright © 2011 BG Airsoft. All Rights Reserved.